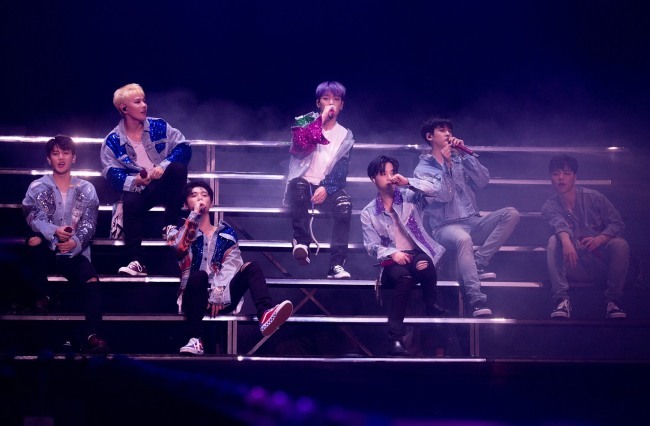 K-pop act iKon kicked off its international tour with a concert in Seoul on Sunday, which marked its first solo concert in the city in over two years. The concert, held at Olympic Gymnastics Arena, captivated 10,000 fans for nearly three hours, with the band performing for almost an hour after the prescheduled performance had wrapped up. The seven-piece act showcased its hits, along with the single “Climax,” which it recorded and released in 2013 prior to its official debut. After Seoul, iKon will hold concerts in Taiwan, Kuala Lumpur, Bangkok, Singapore, Manila, Jakarta, Hong Kong and other destinations that have yet to be revealed. In January of this year, iKon released its 12-track second studio album “Return,” and its lead track “Love Scenario” became one of the biggest hits of the first half with its simple and addictive melody and lyrics.